Gretchen McNeil is the author of the YA horror/suspense novels POSSESS, 3:59, RELIC, GET EVEN, GET DIRTY, and TEN (a YALSA Top Ten Quick Pick for Reluctant Young Adult Readers, a Romantic Times Top Pick, and a Booklist Top Ten Horror Fiction for Youth) all with Balzer + Bray for HarperCollins. 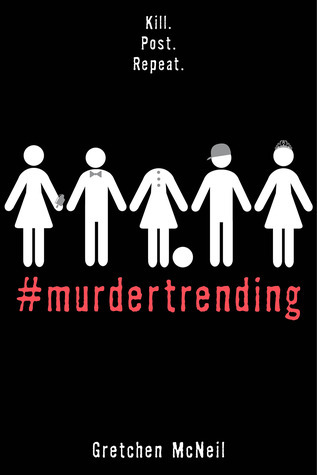 Gretchens first YA contemporary IM NOT YOUR MANIC PIXIE DREAM GIRL, also with Balzer + Bray, hit shelves in 2016, and her next novel will be the horror-comedy #MURDERTRENDING for Disney/Freeform in August 2018. Gretchens novels have been published internationally in Chinese, Spanish, Turkish, and Czech. The film adaptation of TEN starring China Anne McClain (Descendants 2, Black Lightning), Rome Flynn (The Bold and the Beautiful), and Callan McAuliffe (Flipped, I Am Number Four), directed by Chris Robert for Rain Maker Films, premiered on Lifetime on September 16, 2017. Gretchen is repped by Ginger Clark of Curtis Brown, Ltd. You can find Gretchen on Twitter, Facebook, Instagram, and on her website.